A rose is a rose is a rose, right? This is Sandra Tsing Loh with the Loh Down on Science, saying: Except when it’s yellow! Roses aside, University of York researchers have discovered something very strange about that color. People’s perception of it changes from winter to summer! As part of the York study, sixty-seven men and women entered a darkened room. First in January and then again in June. Each time, the subjects turned a knob on a machine that showed them different shades of yellow. They were asked to stop on what they believed was the purest shade. The results? People picked a different shade of yellow in January than in June! Why? Unclear. Certainly the outside world is different in winter than in summer. 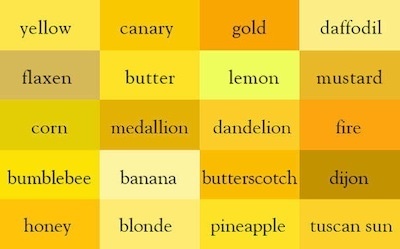 Maybe yellow perception is a casualty of seasonal variation. Specifically, how our visual system adjusts for different amounts of green foliage. This is the first study to suggest our surroundings may affect how we perceive color. It doesn’t explain why so many families wear those painfully colorful sweaters in their holiday cards. Maybe their visual system over-adjusted!